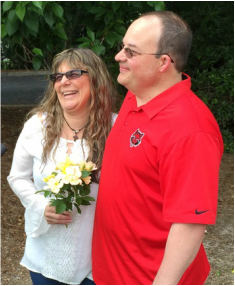 This is our pastor, John Lawrence and his wife Sherie. 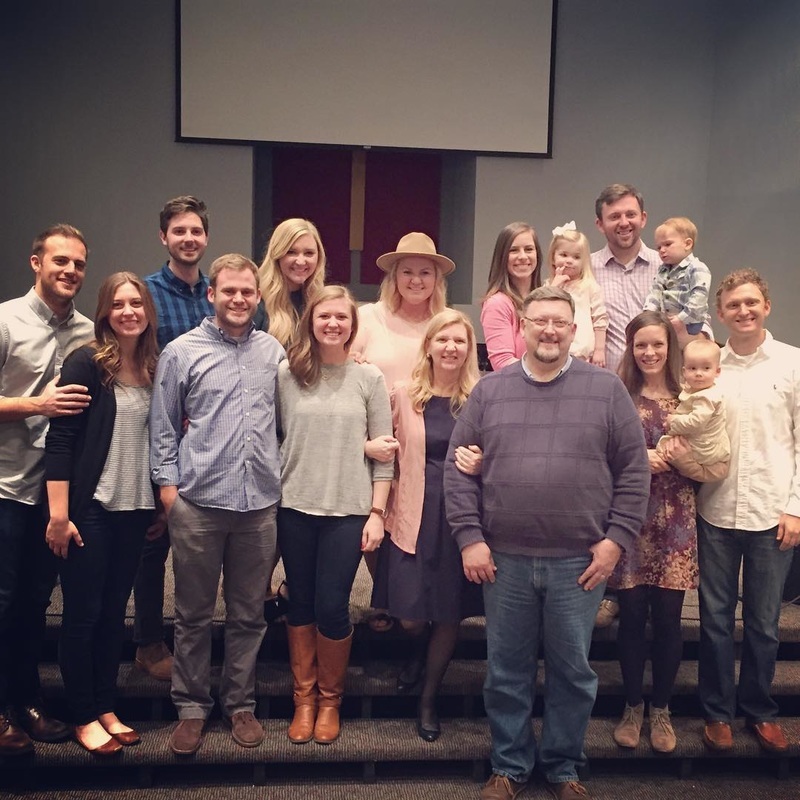 The rest of the family pictured here include his sons - Josiah and his wife Sarah (also Emily and Isaiah), Elisha and his wife Andrea (also Norah), Anna-Marie and her husband Jonathan, Charity and her husband Todd, Naomi and her husband Jacob, and Abbie. Pastor John has been with us for over 25 years. He has a bachelor's degree from Auburn University, and a Mastor of Divinity degree from Mid-America in Memphis. His two greatest loves in ministry are teaching God's Word and helping men become active, effective disciples of Jesus . Joel and Lora are our Children's Ministry leaders. The family pictured here includes Alisa, Hannah and Abi. The Masons have been active in ministry in more ways that you can imagine. For a while they worked with our youth before they began working with our children's ministry. They both have a heart for ministering to children, teaching them God's Word, and cultivating young hearts that love the Lord Jesus Christ. They have been a part of Calvary Chapel almost since its inception . Joel and Ron share the duties as Worship Leaders presently at Calvary Chapel. They are both elder - but also have a love for worshipping the Lord through music. They each have a team of musicians with whom they work to provide leadership in the musical aspect of our worship services Sunday by Sunday. Debbie is our Secretary at Calvary Chapel, and is pictured here with Ron, her husband, who is an elder. They have two daughters, Heather and Sarah. They have been at Calvary for over 16 years and both enjoy serving with the worship team. Debbie plays guitar and sings harmony - and Ron fills in as our worship leader and sings as well. They both have precious hearts for God and love worship and the Word as well.